This photo, taken one year after a prescribed burn near Stampede Reservoir, shows what the forest floor looks like after the process is complete. Prior to burning, there were 6-8 inches of continuous pine needles with no grass present. Create defensible space, don’t let pine needles accumulate on the roof, and always have a evacuation bag prepared. Reminders not to become complacent are everywhere as Wildfire Awareness Month wraps up and residents remember the Angora Fire, but there’s another important strategy forest managers have up their sleeves, and would like to do more of — using controlled, prescribed fires. It’s well known in the forestry community that fire is an essential part of a healthy forest, but in areas like Truckee where people are increasingly building homes in wildfire-prone areas, those fires aren’t able to burn. Ferguson said there are many things preventing her team from burning all the acres they’d like to, such as resource availability, air quality concerns, and public perception. Fire has played a significant role in the Sierra’s forests for many years, but humans didn’t begin to understand that role until more recent decades. Now, Ferguson and others are trying to restore natural habitat and protect communities like Truckee from the threat of intense wildfire fueled by years of mismanaged forests. “If you go back in history, fires in the area would burn between every seven and 15 years,” Ferguson said. The fires would begin naturally and burn at low to moderate intensities, clearing the forest floor of debris like pine needles and brush — debris which we now know can fuel massive wildfires if too much of it accumulates. Rather than everything burning the entire forest all at once, the naturally occurring, low-intensity fires would spark up in small patches at a time, and would end when they reached an area that had already burned in that seven to 15-year period. This, Ferguson said, created a mosaic pattern. “Everything would burn within that 15 years, but just at different times,” she said. The Truckee Ranger District, like many other divisions of the Forest Service, tries to mimic that pattern by gradually reintroducing small, controlled burns to the region. 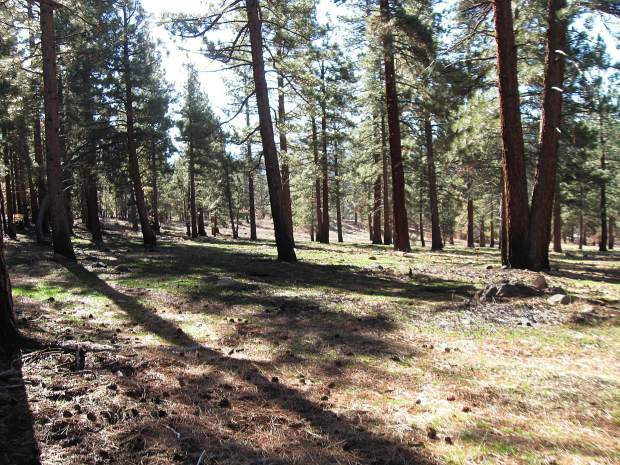 “We’ve got an unnatural forest out there for a variety of reasons, and part of prescribed fire is we want to take it back to a more mosaic pattern in the forest,” said Forest Service Truckee Ranger District Spokeswoman Debby Broback. With a prescribed fire, the area has been planned years in advance. Ferguson creates a “burn plan,” which describes the area that she’d like to burn and what conditions there would need to be to implement a successful burn. The approval process for the plans takes years. Everything from temperature, wind speed, and direction to whether or not certain species of wildlife are in the area gets analyzed. Experts in soils, water, and archaeology also survey the land before a prescribed burn is implemented. The idea is for the land to burn in a controlled environment, rather than waiting for a fire to start on a day that it would be likely to grow out of control. For years, fire suppression sometimes called the “Smokey Bear Effect,” was the norm across the country. Wildfires were considered bad, and to be avoided at all costs even though they are a natural part of many ecosystems. This belief, paired with the financial interests of the timber industry, contributed to what are now overgrown and unhealthy forests. “With fire suppression, the mosaic pattern has changed to just overstocked forests all over the place, and they can’t withstand drought, they can’t withstand bugs, they can’t withstand disease, and so they’re just ready to die,” Broback said. Overstocked forests are known to be drought intolerant because they contain too many plants and trees that are all competing for the same water. They’re also competing for sun and nutrients found in the soil, so when there are too many of them too close together they aren’t able to become healthy and strong. When trees are unhealthy, they’re more vulnerable to things like disease and beetle infestation. Bark beetles have killed more than 102 million trees in California since 2010, statistics show. They bore holes into unhealthy trees, and mate and lay eggs inside, killing the trees and creating more fuel for wildfire in the process. Healthy trees defend themselves by producing a resin that pushes the bugs out, but those weakened by drought and over-crowded forests are unable to fight back. “When the Donner Party came through here their diaries talk about that the trees were so widely spaced that you could fit a wagon through them. You can’t do that anymore. You can’t even walk through some areas,” she said. Since then, forests aren’t the only things that have grown. Average global temperatures have climbed (NASA reported that 16 of the 17 hottest years on record have all occurred since 2001); droughts and floods, though part of the natural weather cycle, have grown more extreme. The changes in climate, paired with the uncontrolled growth of fire fuel, have increased the likelihood of high-intensity wildfires and challenges that come with fighting the blazes. “With the suppression of fire for over 100 years, it used to be there was a fire and it was low intensity, moderate intensity, we could bring fire crews there and start digging line and squirting water, and by gosh, we got it,” Broback said. 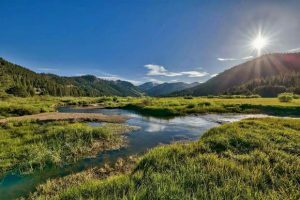 Broback said that the Forest Service, which is still under the U.S. Department of Agriculture, has evolved over the years, moving from protecting trees for timber use to recognizing the importance of healthy forests. 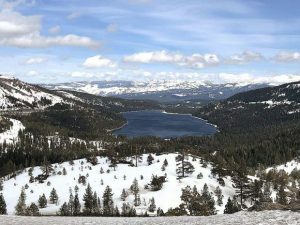 The bark beetle has impacted the West Shore of Lake Tahoe considerably, with both Placer and El Dorado counties declaring an emergency due to the number of dead trees. 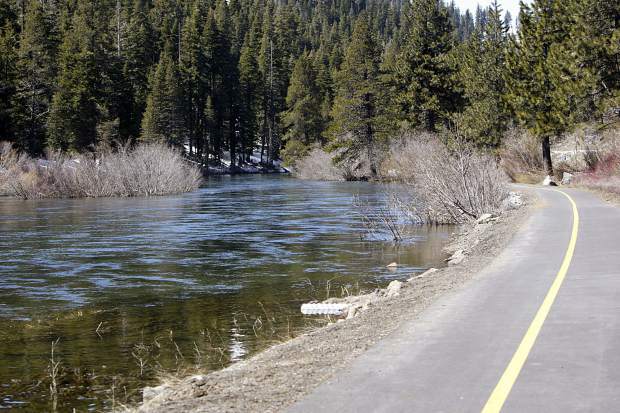 While the beetle hasn’t had as serious of an impact around Truckee, it remains a concern. But that’s easier said than done, since there are now lots of people residing in the same forests that Broback and others would like to see nursed back to health. Even though public education about the importance of fire has improved, people are still uncertain about prescribed burning and mechanical fuel removal because of the minor inconveniences they create. The National Weather Service in Reno provides a specific forecast for her area, she said. Ferguson said the other complaint that the Forest Service receives often is that people are worried the prescribed burns will get out of control. That’s why she tries to avoid burning around homes when able, and the Forest Service will instead use techniques, such as hand thinning and mastication to remove fuels in residential areas. Broback said that residents also hesitate to use those clearing methods because they’re noisy and dusty. She and Ferguson both said that while attitudes have been improving, they’re still struggling with the residents who won’t allow them to do fuel mitigation because they view it as a nuisance. That short-term inconvenience can go a long way in dealing with wildfire risk. “We have the potential in Truckee to have a large, high-intensity fire just take out swaths of our forest, and as I tell people when they’re trying to do work out by my house, we’re trying to protect the forest but we’re also trying to protect our lifestyle,” Broback said.